Just curious (for those of you returning from the Immigration Offices around the country). Are the "No Tips" banners still flying at your local Immigration Office or have they been shelved? Please state which office you are referring to on your reply. Thanks! I don't think they were around two years ago, they showed up less than a year ago after Big Joke took over as Head of Immigration. 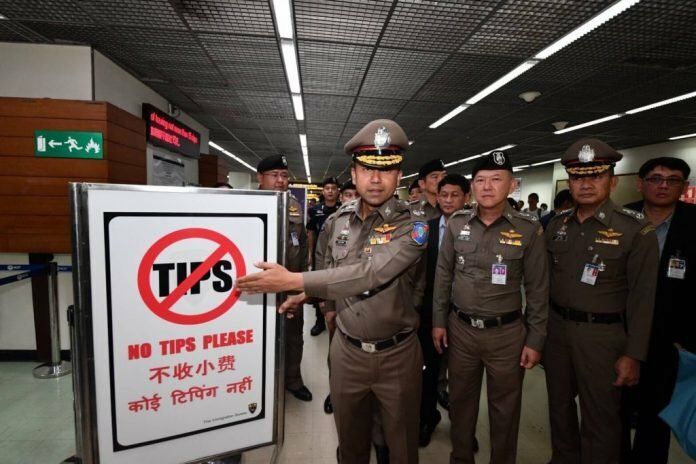 I could be as I have only ever been to my local Immigration Office (Chiang Khan) but I do remember when they posted up the no tips banner there at that office. 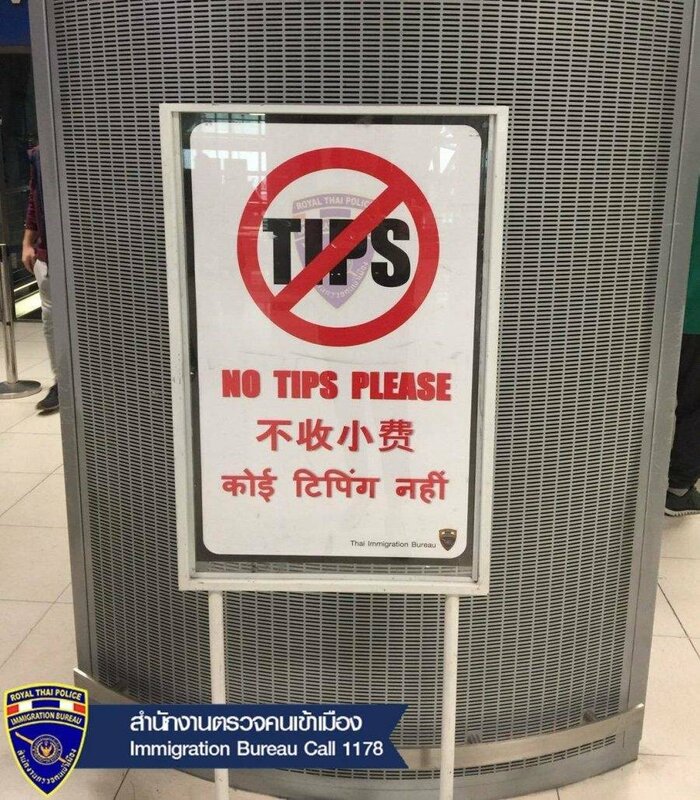 Yes, central bangkok, but even prior, no immigration office employee has ever asked me for a tip, nor have I ever believed they would want one. I find immigration officers to be a polite bunch, considering the amount of work they do in that office. I have never incountered someone problematic at all. I have never been asked for a tip either. I'm just curious if all the banners with Big Joke's pics are still up. Yesterday going out of Thailand at Chiang Mai, signs with big fonts, yes. Had occasion to go to the Had Yai immigration office on March 28 and they were up there. But then that was before he was transferred. I was in Phayao yesterday. The "no tips" signs are up but not on the desks where you are interviewed as they were before. Big Joke photo is still up. It is a part of a large glass partition so they will have to have some come and remove it. I have seen the posters. But no picture of BJ himself, the only one is the real himself in one of a report last year. Did anyone has seen a print of a cartoon BJ with the message? I think they were still up when I was in my Immi office mid-last month, but I was distracted with being jerked around because I didn't report to the Immi office within 24 hours after returning to Thailand last year. Reckon they'll wind up in a dark corner next to the old poster board about dress code standards, then disappear completely at some point in the future. 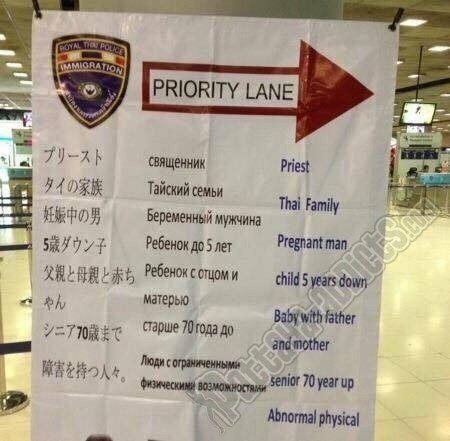 I'm still wondering if a "Pregnant Man" has used the Priority Lane yet? Hi. 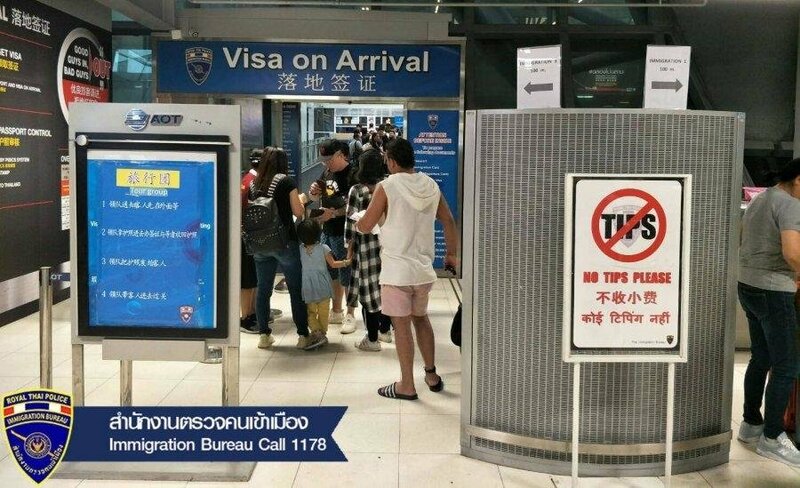 I hadn't heard about a need to report to immigration within 24 hours of returning to Thailand. Which people are you referring to, please? That's funny! I wonder who's idea that was?